Zeus has come up with an interesting new upgrade program for the owners of their ZeusMiner Scrypt ASIC miners that is supposed to allow users to make their current miners more up to date and profitable again at the end of the year. 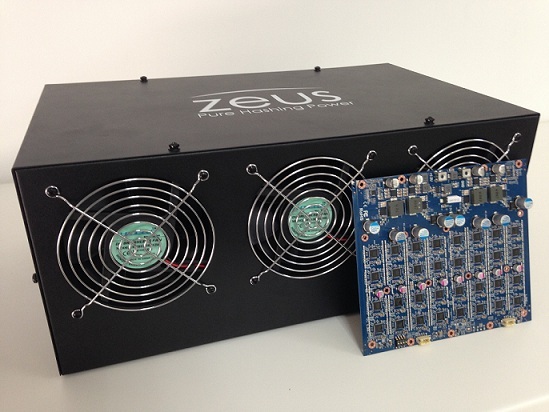 If you have purchased a previous generation ZeusMiner you are able to pre-order ZEUS GEN III chip Blades that you can use to replace your existing boards and make the miner much more powerful in terms of hashrate while fitting in the same power usage limit as your current hardware. You are going to essentially use the cases and cooling radiators and fans of your existing hardware and only replace the chip boards with the same modules that the recently announced ZeusMiner Volcano will be using. The prices for the upgrade boards are quite attractive at the moment and they should not be very expensive to ship, because you will not be getting a whole miner with the big size and weight due to the case and cooling. ZeusMiner distributors such as MinerEU are also accepting pre-orders for the Generation 3 upgrade boards as well as the Volcano Scrypt ASIC. What you should know however is that these upgrade boards should be available and start shipping sometime by the end of December. If Zeus manages to keep their promise on the specifications they have announced the upgrade boards will most likely be a great way to revive your Scrypt ASIC as it may be a bit outdated in terms of performance by the end of the year. So while pre-orders could be risky, at this point of time the upgrade offer from Zeus does seem quite attractive to owners of ZeusMiner Scrypt ASIC devices.